It’s tough to launch own business in the line between success. 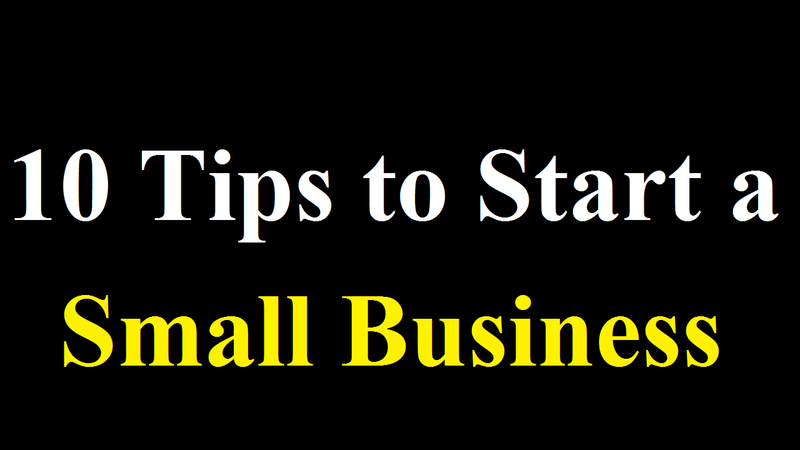 You might need some tips to start a small business in the UK at the very initial time. This is because starting a small business with good tips, analysis and planning are almost half done. Besides, without these, you’ll never get success in any kind of business. It’s important to be clear about which steps to take and to get everything in order prior to launch when getting your new business off the ground. But, the reality is that it can be very hard to get a new business. Out of every 5 businesses started, 4 will close within their first 3 years that indicates the statistics. As a result, the chances of success are slim and there is a hard competition as well. You won’t let mere statistics or long-odds get in your way if you are passionate about setting up a business and running your own business. So, there are things you can do to increase your chances of succeeding if you’re thinking about starting up this year. Let’s get top 10 tips to start a small business in the UK from our team. There is a saying, “If you fail to plan, you plan to fail.” Hence, you need to give yourself a clear idea of your monthly costs and how much profit you must generate to keep it together even if you’re just setting up as a freelancer. Find out what your monthly sales need to be that means you have to plan for your sales increase. If you can show the growth in sales you can realistically generate, you can make a chart for the next 12 months. Also, get the clear notes about how to generate new clients for your business. Just the act of thinking it through will provide you with earnings goals and points because it’s a tough thing to guess. The more likely you are to get the work, the more you’re ‘out there’ touting for work. It’s possible to meet people without leaving your desk with the internet. Start giving useful advice on areas directly relevant to your business by joining online networking groups and forums. This is the way to raise your profile in a positive way to expand your business. However, avoid spending too much time on it and allocate a certain amount of time a week and continue the routine. Besides, you can get business cards and ensure you’re taking the business cards wherever you go for any purpose. Anywhere you can get interesting and potentially useful people. Build a community of people and provide them with a genuinely useful, free newsletter every week or month regularly. Promote your site by including audio and video on your site and use that content on YouTube and similar sites. Ensure an easy response mechanism, such as blog comments, email address etc. Make sure that your business is secure to prevent unexpected losses with software like VPN or antivirus. Because of this allows them to plan for a small business in the UK and know why they’re doing it, serious business people set up with an exit strategy in mind from the start. This way they can plan effectively what they want and how they’re going to achieve. Understand what the lifestyle that you want to achieve and why you’re in business. Here is the list of most successful businesses. Ask what they’d pay extra for. It’s cheaper and more efficient to outsource large chunks of business to Asian-based business services as well as small business in the UK because now we have entered the virtual world. You can get an overseas Virtual Assistant who will do almost everything for you. He/ she are not only responding to calls and emails but bookkeeping, serious business research, and web development. You can get a Virtual Assistant while searching through the internet. Find out of your target market at a detailed profile. For example, what they read/ watch/ listen to. What their professionals are in a particular business sector or part of the country if they drive a car or own a home. Try to work out an interesting and relevant letter to send to these people. And offer something genuinely useful to them. As they need to take action, put a time limit on the special offer. There is a saying, “The men who have succeeded are the men who have chosen one line and stuck to it.” Avoid getting in a competitive market that requires a huge experience and a huge investment. You probably don’t have the capital and experience combination that’ll be required if you’re reading this. You’ll want to find out a great deal about it that you either know a lot about already or something that really interests. This will differentiate you from everyone else in your market if you carve out a niche and personalize it. You have to associate with people who are like minded and you become like the people you as well. If you join appropriate industry associations then these will also give you the lowdown on relevant industry threats and opportunities legislation. Converse or meet with other entrepreneurs who don’t have anything to do with your business venture. Because they don’t really understand what you are going through or why, so they’ll be happy to share solutions and encouragement. Dividing it into areas such as financial, marketing, operational and general management try to identify what you do well and what you do badly. You must be not only realistic but honest as well. Because another person’s perspective can be very valuable, so try to get someone else to evaluate your answers. It’ll help you to recognize what you are good at if you can identify your weakness. These are the top 10 tips to start a small business in the UK from us. But, there are many more things to keep in mind while starting a new business of your own. We’re sure if you follow the above-said tips, you’ll get the success of your business. Moreover, knock us if you need more help. Also, comment on your experience of starting your own business.